It’s very easy! 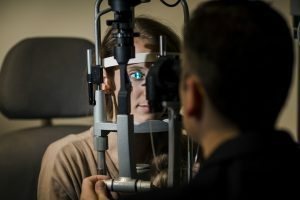 Whether you’ve been thinking about Lasik for many years, or this is the first time that you’ve looked into the procedure, we try to make the process simple and straightforward. First, gather information about the procedure. The best way to do this is to come see us for a Free Screening Appointment. During this appointment you’ll be able to visit with our certified iLasik technicians and Lasik Counselor and have any questions you may have answered. After you’ve met with our Lasik team, you’ll be able to make a decision about your vision correction path. Our goal is to help you gather all the information that you need to be able to make a wholly informed decision about your vision correction. We are always available by phone at (573) 441-7070, or by email at Layla@RestorationEyeCare.com.